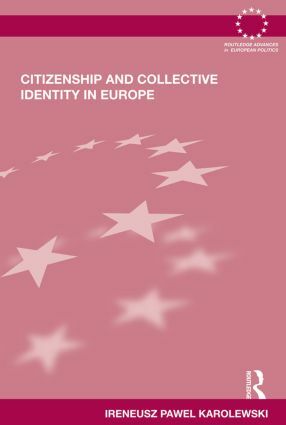 This book is the first monograph to systematically explore the relationship between citizenship and collective identity in the European Union, integrating two fields of research – citizenship and collective identity. Karolewski argues that various types of citizenship correlate with differing collective identities and demonstrates the link between citizenship and collective identity. He constructs three generic models of citizenship including the republican, the liberal and the caesarean citizenship to which he ascribes types of collective identity. Using a multidisciplinary approach, the book integrates concepts, theories and empirical findings from sociology (in the field of citizenship research), social psychology (in the field of collective identity), legal studies (in the chapter on the European Charter of Fundamental Rights), security studies (in the chapter on the politics of insecurity) and philosophy (in the chapter on pathologies of deliberation) to examine the current trends of European citizenship and European identity politics. This book will be of interest to students and scholars of European politics, political theory, political philosophy, sociology and social psychology.